Most everyone knows the term Yellow Pages, but not everyone understands what it means. After all, a large portion of our society wasn’t around when the popular book was so commonly used. And that’s why most shoppers use local business directories when they want to find US local businesses. They have no idea how lucky they are and that’s why we wanted to write this post—to show everyone why local business directories are so helpful, and what the shoppers of the past had to do in order to find local businesses. Ever since the invention of the telephone, people have used phone directories to list people’s names and phone numbers so there was a public record of how to reach them. But in 1886, one printer was printing the local phone directory when he ran out of paper. He had some yellow page on hand and decided to use it instead, and that’s how the Yellow Pages came into being. Before long, the new tool become the go-to form a local business advertising. These business owners would purchase an ad in the Yellow Pages—typically a single line entry, a quarter of a page, a half page, or even a full page—and customers would find the local business through it. These ads were very expensive, ranging from a hundreds to thousands of dollars, but most local business owners considered it the cost of doing business. After all, in those days, if a business didn’t have a Yellow Page ad, it was credible in the eyes of consumers. Fast forwards a few decades and the world has changes since the advent of the internet. Now, shoppers almost never pull out the old clunky Yellow Pages, but instead look online when they want to find US local businesses. And where do they look? In local business directories. Local business directories are designed just like the Yellow Pages, but with a modern twist. They also list businesses and their phone numbers and addresses, but these ads don’t cost business owners a lot of money to be seen there. In fact they’re free. And studies show that today, most people who are trying to find local businesses turn to local business directories to do so. 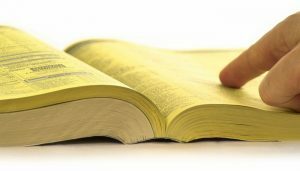 So just like decades ago when small business owners had to be seen in the Yellow Pages, these days, they must be seen on local business directories in order to attract new customers. If you don’t yet have a local listing on a local business directory, there is no time to waste. Every day, millions of people search for businesses just like yours, and if they can’t find them on a local directory, they will visit your competitor instead. To set up your free local business listing, go to FindUsLocal.com and use the custom search bar to look for your business. Once you find it, claim it as the business owner, and then fill in all of the details that make your business unique. In addition to the basics like your business name, address, phone number, and website, be sure to give customers the information they need like your store hours, the methods of payment you accept, and what lines and brands you carry. Remember, people who see your local business listing will use it to decide whether or not to visit your store or restaurant. The days of the Yellow pages are gone, but local business directories have taken place of it and play a huge role in helping shoppers find local businesses. If you don’t have your free local business listing created yet, hop on over to FindUsLocal.com and do it now! This entry was posted in Facebook Advertising, Local Marketing and Advertising, Online Advertising, USA Business Directories News on September 24, 2018 by wpadmin.